We have been dealing with numerous Councils up and down the country for many years. We have produced Council Crest lapel pins, cufflinks and coins in great detail and they have been used to promote the Councils corporate identity, twin town visits and special events. We have also developed the character ‘The Mayor Bear’. They are ideal for Mayors to use to raise funds for their chosen charities or to give away at events they attend. 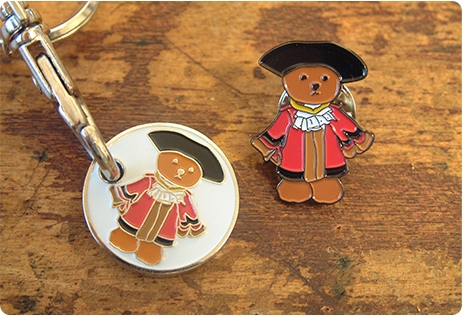 Newport Council used the Mayor Bear lapel pins and trolley coins to help raise funds for the Mayors' charity. It brought the whole community together and with the help of local businesses they Mayor succeeded in selling over 10,000 of our little Mayor Bears generating thousands of pounds for charity.